Amazingly fresh and delicious. Great service. Prices are a bit high, but I loved EVERYTHING I ever ate here. The waiters are super friendly and will help you make your selection. Outdoor sitting is limited , but priceless in the summer. This is one of my favorite restaurants in Brooklyn! The European feel of the restaurant makes me feel like I'm in Greece. The service is friendly and prompt. The menu has many traditional dishes but also other options. Has an extensive menu and delicious dishes. My favorite spot in the bay! Yiasou always hits the spot! The food is incredible, the service is attentive and friendly, and the prices are very reasonable. I always have a great time having dinner and spend a few hours here. On top of all that, It's a great place to eat outside in the summer, since it is right on Sheepshead bay! I went to this restaurant today and I absolutely loved it! My boyfriend's birthday was today and this Greek restaurant has amazing appetizers from Quail, Oysters and also an interesting selection of spreads (there was one that was a seafood of a sort, feta, cucumber, chick peas, potato, eggplant and then some beets. It was really tasty with pita bread slices and a few olives. I had an amazing dish (which I took home with me) that included lamb, orzo, cheese and an interesting tomato sauce as well. My boyfriend had a Sea Bass, his mom had an amazing fish and they were so large that they could have been split. Just note that the fish are cooked whole (eyes and head included). The staff were very nice always making sure we had enough wine, tea and much more. The area has many restaurants and during the summer, I can only imagine how busy it must be. I first tried Yiasou a few years back and have remained a reoccurring diner ever since. The appetizers are to die for. I can make an entire meal of just them. But to miss out on the entrees would be a shame. Needless to say I always end up over ordering. Some of things that I must have with every visit is the grilled octopus, mixed spread plate, and langoustines (seasoned to perfection). The shrimp clay pot and the filet of sole with the spinach and mushrooms are my favorite entrees. I'm not big on dessert but there's no denying the delicious flourless chocolate cake with the perfect vanilla ice cream on top. Trust me when I say the vanilla ice cream isn't just any store bought ice cream. The flavors are distinct and memorable. Overall, Yiasou is a place I love and plan on going to over and over again. I have enjoyed many meals here with my family. 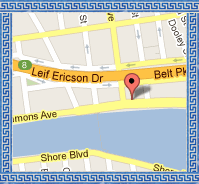 I believe this is one of the best Greek restaurants in the city. The service is always a treat and the food is the reason why we coming back here. I always order the filet of sole with rice - which melts in your mouth. If you love Greek fare this is a must! We visit Yiasou at least once a week for dinner or lunch. This place is known for outstanding quality food and service. One of the best places to eat in Brooklyn. Whether you are in the mood for seafood or steak, this restaurant has quite a few choices to satisfy your cravings. We have dined in many Greek places in the city but nothing beats Yiasou. Since discovering Yiasou we do not bother dining anywhere else. The food is always exceptional, fresh and seasoned perfectly. This is one of my favs!!! the food amazing! everything from the delicious octopus to the tender lamb chops are always prepared to perfection. The staff that works there is kind, fast, and helpful. It's most certainly a delight to dine with Yiasou!